Iron is a vital mineral that is required to perform many bodily functions. Iron is the most important ingredient required for the production of haemoglobin which is responsible for the transportation of oxygen inside the body. Iron deficient anaemia is the most common type of anaemic condition. The deficiency occurs due to poor dietary intake, blood loss and inflammatory bowel diseases. What are the symptoms of the deficiency? Feeling tired? Lack of iron affects haemoglobin production which affects the oxygen levels in the body. The lack of oxygen results in the person feeling very tired easily. Pale skin? 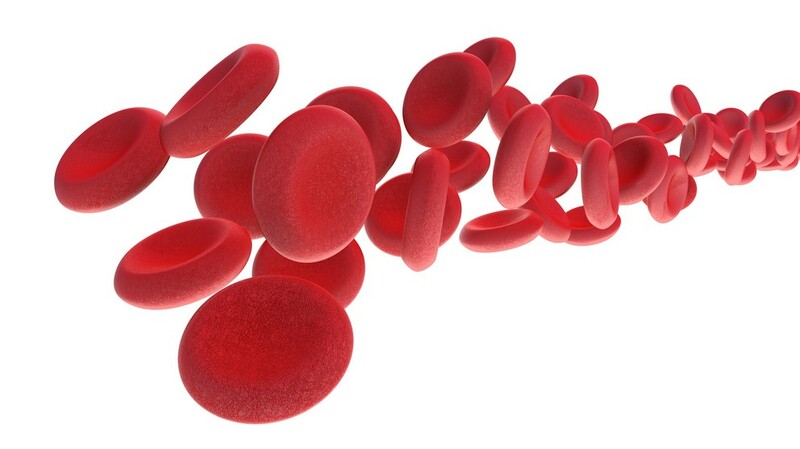 The haemoglobin is responsible for the red coloration of the RBCs. Iron deficiency causes lack of this colour, leaving the skin pale and unhealthy. Breathless? The lowered levels of oxygen in the body due to iron deficiency causes shortness of breath. Dizzy? Iron deficiency could also cause headaches and dizziness. Heart palpitations? The lowered level of oxygen in the system increases the pressure on your heart. This results in noticeable heartbeats or palpitations and irregular heartbeats. Unhealthy hair and skin? The decreased levels of oxygen due to low levels of iron also results in dry and damaged skin and hair. Restless leg syndrome? The deficiency also causes restless in the legs and inability to keep them still at all times. A visit to the doctor can help you improve the iron levels through improved diet and iron supplements.